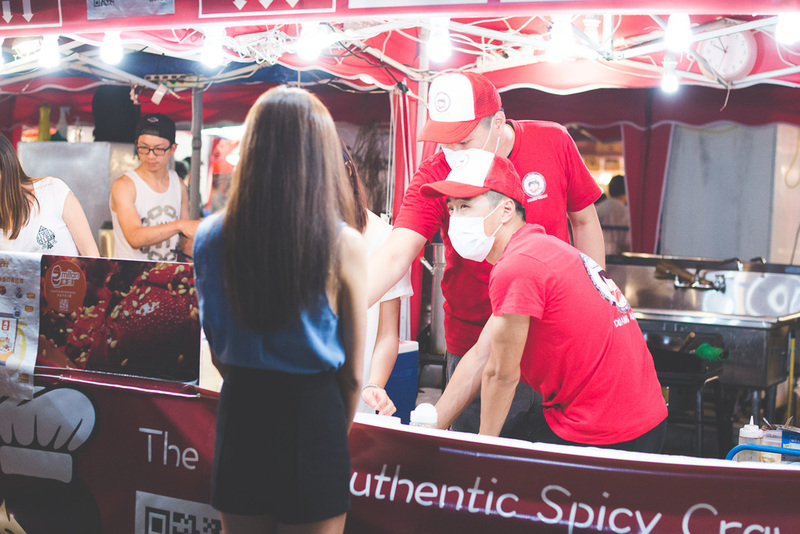 June 5, 2015 - Finally had a night off to catch up with some friends I hadn't seen in a while, so we decided to hit up the Richmond Night Market. For those who don't know, it's a giant outdoor market that opens up in the summer in Richmond, a city in Metro Vancouver. 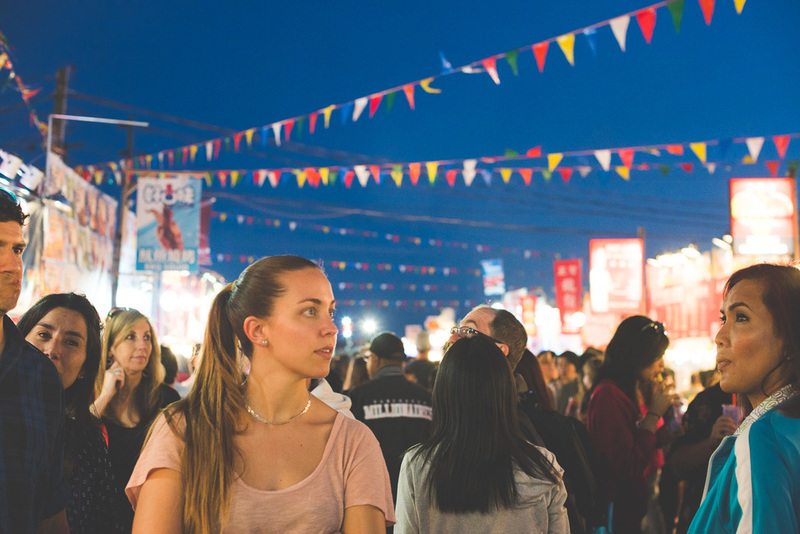 It boasts being the biggest night market in North America and has since prompted other markets to spawn in the area (such as in Chinatown, North Vancouver, and even another in Richmond). 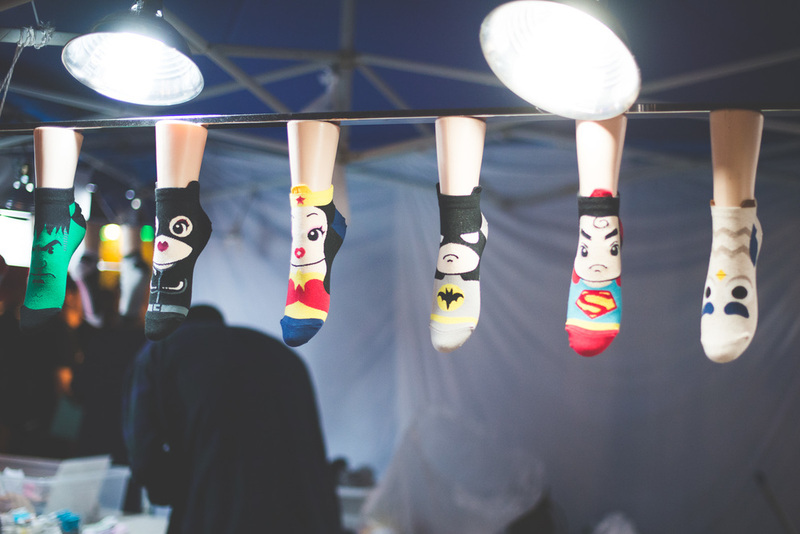 Vendors are generally pretty similar, selling mainly socks and other cosmetic items, phone cases and assorted electronics. There are few other niche retail/service vendors such as swordsmiths and psychics. For those who love carny games, those are present too! Hell, you can even jump into an inflatable watertight bubble for 10 minutes for $10 and attempt to roll around. The main reason most people end up going though is definitely for the food. 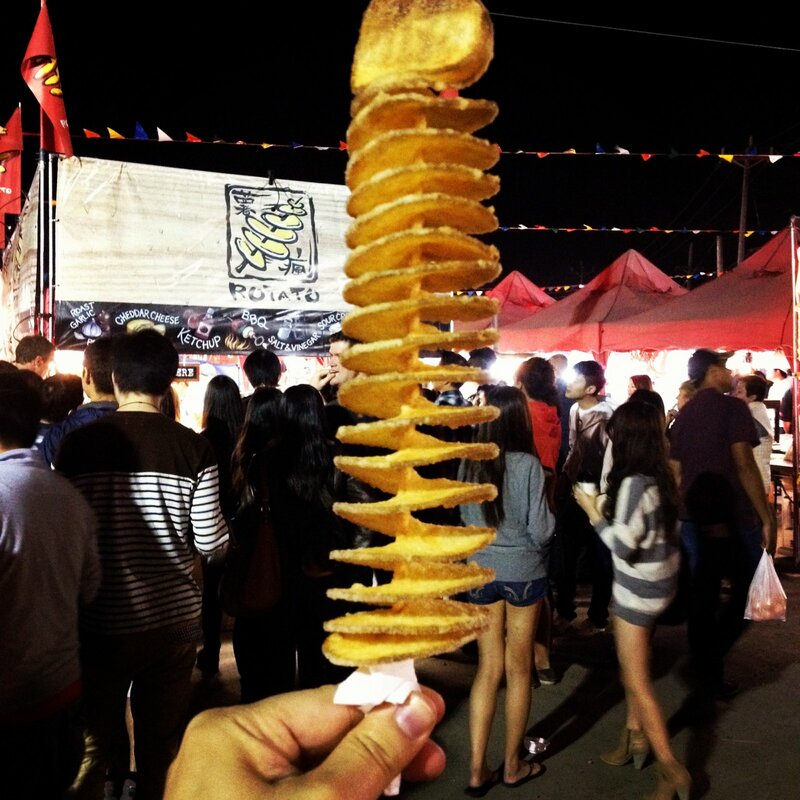 One can easily burn $40 with the wide assortment of food that is available to them, including but not limited to: takoyaki, ice cream crepes, deep fried mars bars, rotatos and squid! There's something for every taste, be it from familiar and simple to exquisite and exotic. Anyway, didn't take too many photos but I thought I'd share for you to see! 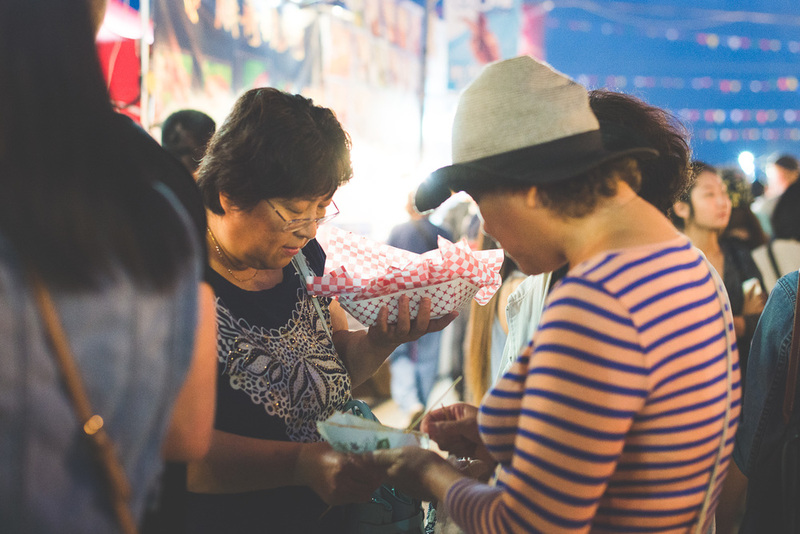 The market itself is open from May 15 to October 12th, Fri-Sat from 7 to midnight and Sun & stat holidays from 7 to 11. Admission is $2.75.